This song seems as if it was written just for my novel in progress Silver Skies 1996 Version & Silver Skies: The Millennium. Expect to finish this book in 2020 or 2021 and its sequel Silver Skies: The Millennium in 2022. It would probably fall in the Christian fantasy category with romantic and epic elements and that’s how I will market it when I’m done. But there are several love stories in the book, and it’s a commentary about the state of love in general during the tribulation period, so it’s more of a fantasy. It’s also like a mainstream romance, which might be its secondary category. Unlike most fantasy novels, I try to make the world of the story seem credible to the reader, because I really believe this novel may end up being a prophecy. Silver Skies 1996 Version has tribulation events based on the teachings of Andy Woods, Arnold Fruchtenbaum & a bit of John MacArthur & also based on my own personal experiences with Satan and the Antichrist. 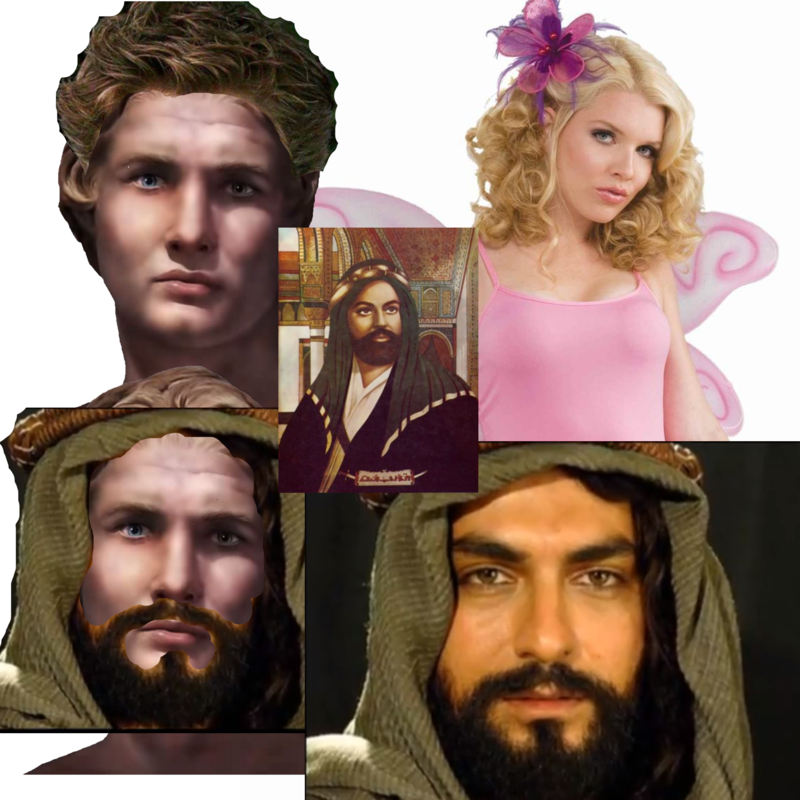 STORY’S HOOK: Jesus promises a married rabbi he can marry his forbidden dream love without sin, a Christian girl, & reign with her in the millennium, when he learns the secret of her spirit – but warns him to watch out for the Antichrist. STORY’S HEART: A Jewish freedom fighter in a deadly marriage strives to beat back a holocaust finding his soul mate in a forbidden Christian girl. 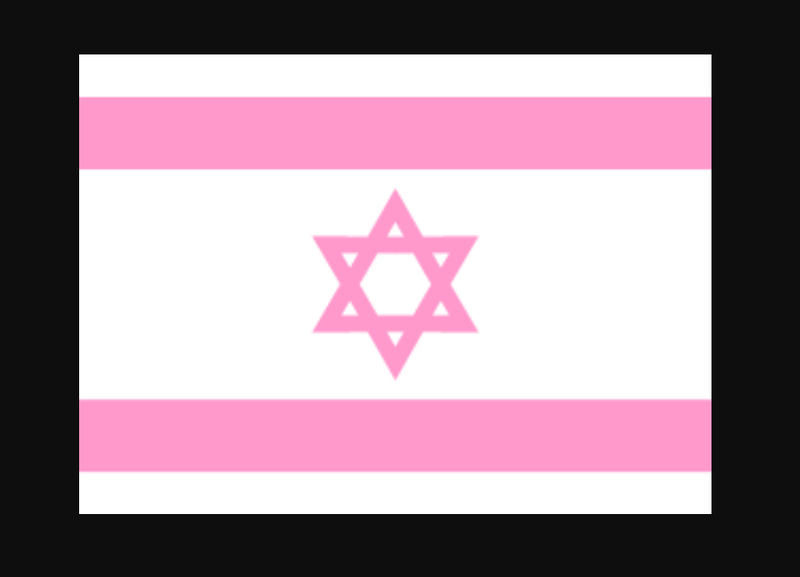 Summary of story’s heart: A Jewish freedom fighter married to the enemy, loves a forbidden Christian girl, with the entire universe against their love. The circular kippah on Dor’s head felt hot, he fidgeted with the pins clumsily, removed it. This looked like a Texas desert, the land stretched too far and that was Mexico to the south. Who was this stranger walking beside him? He seemed to be a Jew like him. Dark long hair, rugged face. Looked a lot like him, but he walked with a casual stride, as if deliberately trying to relax him. The cactus, grass patches, mountain outlines looked like west Texas photos he’d seen. Must be close to El Paso. He scratched his head. Moments ago he was in another world. He felt transported and yet he knew his body still lay in a coma on the hospital bed where he left it. The last thing he remembered was someone tried to suffocate him and Brianna was there. Still shocked over this incident, it was hard to focus on his surroundings. Tyrannosaurus had hit him. He needed to divide him into digestible pieces. It shuddered him to think that there was such evil in the world. Brianna had saved his life twice. He wouldn’t forget. How’d he come here? Where was she? He longed to hold her and kiss her hair, but he could only imagine it. Fantasies of their wedding day floated through his brain, but it saddened him to think he may not live to see that day. Could he find the courage to claim her? Fear of Rachel and his enemies gnawed at him. Only the hope that Brianna would be his one day, gave him the will to live and fight. If Rachel should leave him, what then? There was only one thing that mattered; to live, so he could be with Brianna. He saw that he brought happiness to her sweet presence, that they encouraged each other. And someone was trying to block their happiness. The source of his strength was about him, in Brianna’s spirit. He remembered how she breathed and rested her head on his chest. For better or worse, he would love her the best he could. Houston looked nothing like this, but he saw a photograph of west Texas in a book. The stranger’s eyes bored into him. The searing desert had no water. All of a sudden, Dor’s throat felt parched and dry. “Do you have power to bring me water?” Dor wiped sweat from his forehead. The man smiled. Suddenly, the desert cooled and nearby a fountain of water burst from the sand. Dor’s eyes widened. He stopped in his tracks and examined the man. Everything about the stranger was normal, except those eyes. They pierced his innermost soul. The stranger must be supernatural. He must not read his heart. His past was sinful. That face, those eyes. The kippah returned to his head. He bowed at His feet and drank some water. “Brianna’s friendship will give you strength. That’s why I’ve brought her into your life.” The stranger then transformed himself into a dove that alighted gently on Dor’s shoulder, but the baritone voice was the same. The dove and the desert vanished. Dor returned to his body in the hospital and felt his eyes open. I admit I tend to watch non-fiction more than fiction on television. But I occasionally find some fiction so truthful and powerful that it inspires me to learn a lesson that I can apply to my real life. This is what I feel Silver Skies 1996 Version will do for its reader and watchers (when Spielberg produces it). The story will be so truthful, that in many ways, it will be MORE TRUTHFUL than non-fiction. Non-fiction is often only skin deep, but a novel can paint the realities of life in such a way that the truths people need to learn will stand out like a painting that highlights what the painter wants the world to see that they did not notice in the photograph from which the painting is derived. People will read the novel and see current events in the story and characters and will learn from the character’s mistakes. There are few novels that do this. But The Thornbirds is like that and so is Wuthering Heights. I believe my novel Silver Skies 1996 Version will be on par with The Thornbirds and Wuthering Heights. I rarely weep when I see a movie, because most of them don’t resonate for me. I think Silver Skies 1996 Version will make people weep. It will transform them. I’m very excited about how God will use this novel. 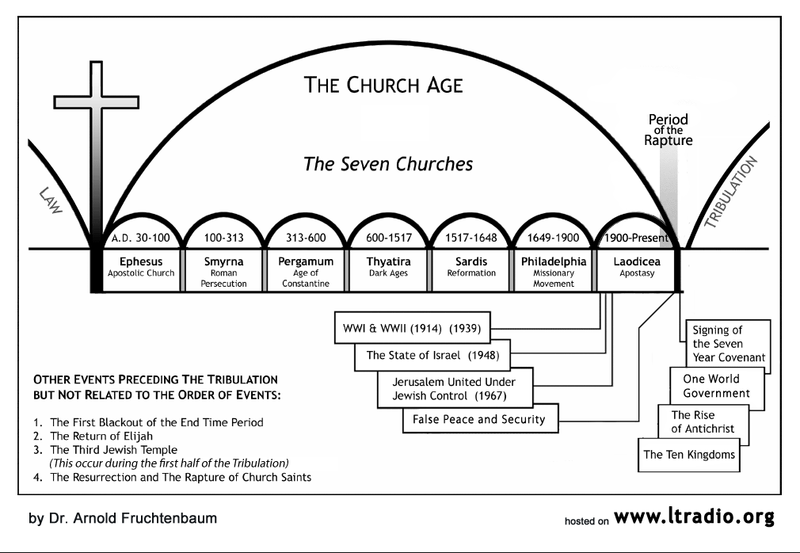 The world of the Silver Skies 1996 Version is the tribulation period, which very much parallels our current world. I have a character who is very much like Brent Spiner. I have another character who is very much like me. I have characters who are very much like Zack Knight and Loree McBride. I have another character who is like Vladimir Putin. 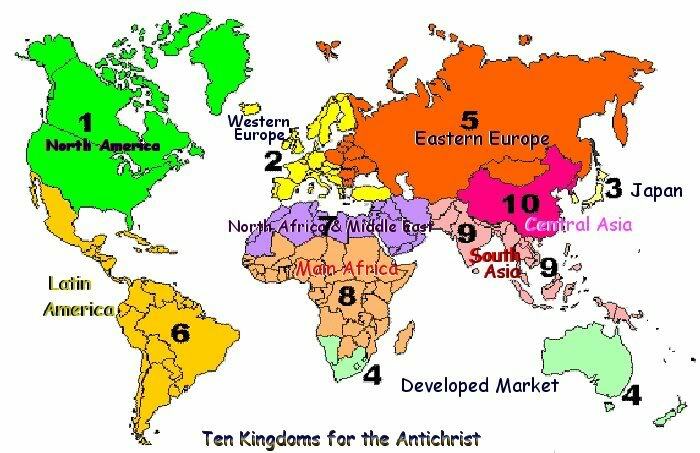 I have world leaders and the Antichrist. I have Jesus and common every day people, who may not be all that common after all. 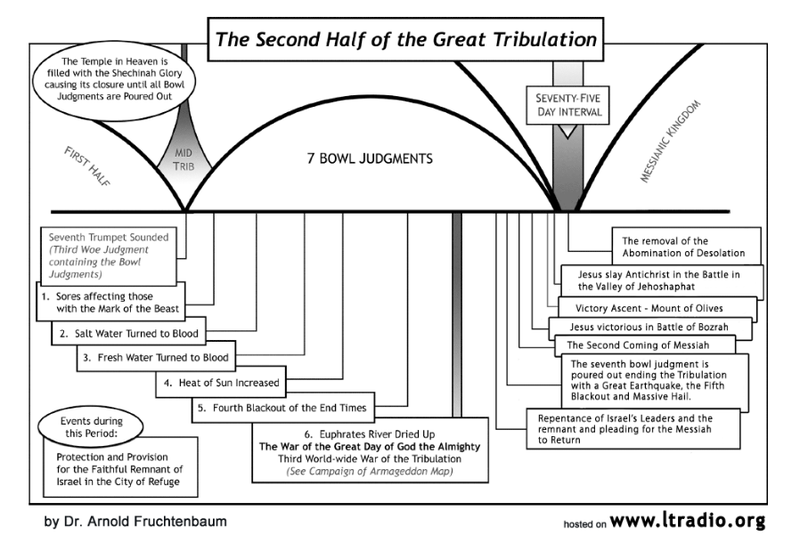 In the tribulation, you either rise to greatness or sink to vulgarity. This time in history forces you one way or another. People will read this and learn some valuable lessons. Sometimes a masterpiece novel can be a better conveyor of truth that any sermon or non-fiction debate or presentation. To me, that is the only time I should waste my time with a novel, when I’m able to write something that will make people think because it touches something deep inside them, ignites a flame in their heart that will either blaze into a truth aflame or be crushed into lying denial. This novel will be so truthful, that I predict the tribulation saints will have it alongside the Bible for guidance. 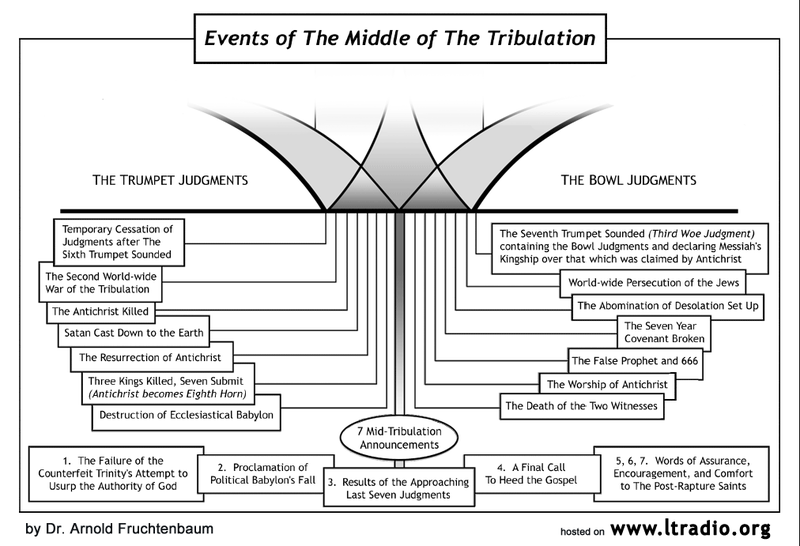 I will be playing out the events of the tribulation in it and I predict this novel will be a prophecy. Due to my obsession to make this on par with Wuthering Heights in quality, I expect to finish in around a year, even though I am about 80% finished with it. I just need to write the last third of the book. Today’s date is Oct. 13, 2018. As Jesus once said, arguing with people never changes them. But watching a powerful movie or reading a powerful book might. The characters in this will seem so real, it will be like they live with you and inside your heart. The story will be so powerful, it will haunt you in your sleep until you deal with the truths in the story or you will go into denial and be forced to shut your heart to drown out the truths that you cannot bear to face. But mark my word, no one will be neutral about this story. This story is a life changer. If I believed otherwise, I wouldn’t waste my time writing it. I am reminded about what Tolstoy said in War and Peace, “It is always the simplest ideas which lead to the greatest consequences. My idea in its entirety. . .is that if vile people unite and constitute a force. . .then decent people are obliged to do likewise; just that.” Though this is primarily a love story, these lovers change history. When I first started this in 1993, I intended for it to be my only novel, and that may well be the case. Though I don’t consider my non-fiction works to be a novel. I am mainly a non-fiction writer, so it’s no surprise that the one novel I write is very much non-fiction, even though it would be classified as a fantasy. 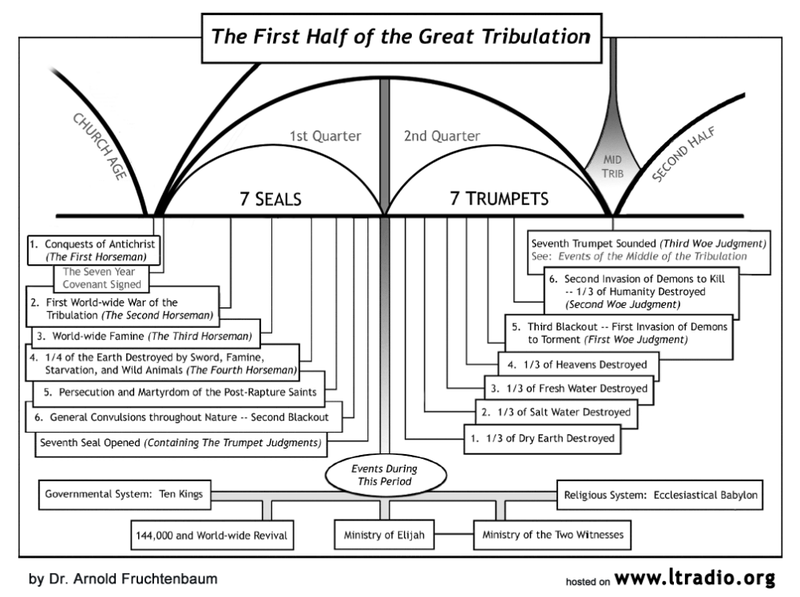 That’s cuz the tribulation period is so wild. But the characters will seem very real and complex to the reader. But one thing I knew for sure, if it was my only one, it would be a MASTERPIECE that would be so powerful, it could change history. I lost faith in the book for about 20 years and then all of a sudden, Jesus just started giving me inspiration and the book has come alive in my mind. I predict it will be one of the most powerful books ever written when I’m done and that will mean more to me than if I win a 1,000 Nobel Prizes in Literature. I wouldn’t take up this book if I didn’t believe it had the makings of a masterpiece. I feel like Handel must have felt when he wrote The Messiah. Jesus keeps showing me the plot and the characters! What’s coming into my mind is sheer brilliance. All I know is when I see this novel as a movie in my mind, I weep. Its grandeur overcomes me and and I am swept away with feelings of majesty. UPDATE: I am giving myself a refresher course in novel writing and re-reading about 17 books on the craft of novel writing to get my mind back to the way it was in the 1990s when I worked on Silver Skies. I recall I gave myself about the equivalent of a M.F.A. in creative writing back in the 1990s by all the books I read on craft. I have those books, I just need to reread and restudy them. Will take me about 4 months and then I’ll get down to work on finishing the last third of the novel. I am currently outlining the ending and fleshing out the characters and their arcs right now. Silver Skies will be unique in that like the novel War and Peace, I am striving to combine literary excellence with historical accuracy and my book will be covering future history as prophesied in the Bible, specifically the events of Revelation. It will be like an evangelical version of the novel The Thornbirds, like The Thornbirds, the lovers cannot be together because of the disorder in their world that prevents their love from coming to full fruition. In The Thornbirds that disorder lies within their own families and religious structures, and in Silver Skies that disorder also lies within their own families and religious structures. In fact, I often watched The Thornbirds, which I greatly admired as a novel, as I worked on Silver Skies. But, unlike The Thornbirds, I have paid great attention to the world of Silver Skies to make it as Biblically accurate as possible, so that the novel reflects my lifelong study of the Bible and the book of Revelation. Those who read the novel will get an education about Bible prophecy while, hopefully, also losing themselves in a literary love story. I strive to write a true literary novel, that will present the world of the tribulation saints as I believe it will play out, but at the same time, won’t be a preachy book at all and those who read it will be encouraged to come to their own conclusions by losing themselves into the lives of the lovers whose love cannot be fulfilled in a world of chaos, death and tragedy as Christ prepares the world for his millennial reign in the tribulation. The story question will be, “Can an awesome love survive the horrors and deceptions of the Antichrist and Satan’s people when evil and deception rules the world?” It will cause thoughtful people to ponder over whether there is such a thing as true love or if it is just a fairy story or escape hatch for people who can’t deal with reality. Which will raise the deeper question of whether Jesus Christ is the awesome lover that He wants us to believe he is, when you read Song of Solomon which describes Christ’s love for his bride, the church. I hope my novel Silver Skies will help to answer that question for thoughtful people. Another question that will be explored is, “Why does God allow evil?” These are not easy topics to address in a literary novel. It will be so easy to be preachy, but I’m determined not to sermonize my readers, but to write an engrossing story or world that they will lose themselves into and which may even turn out to be a prophecy that tribulation saints in the future can read for guidance and inspiration. This song seems to show the spirit of the 144,000 Jewish missionaries in Silver Skies. Silver Skies’s Antichrist’s battle song. He also makes this the worldwide anthem for his rule. Often when he makes a public appearance, this song plays to introduce him. He tries to come off as super cool and hot (in a gay sense). Satan is gay. I’m actually kind of patterning this after Wuthering Heights, in that my two lovers will transcend death to be together. But unlike Wuthering Heights, there’s a high chance that some of the world events depicted in the background might REALLY HAPPEN. Author Gabrielle Chana’s research for Silver Skies. 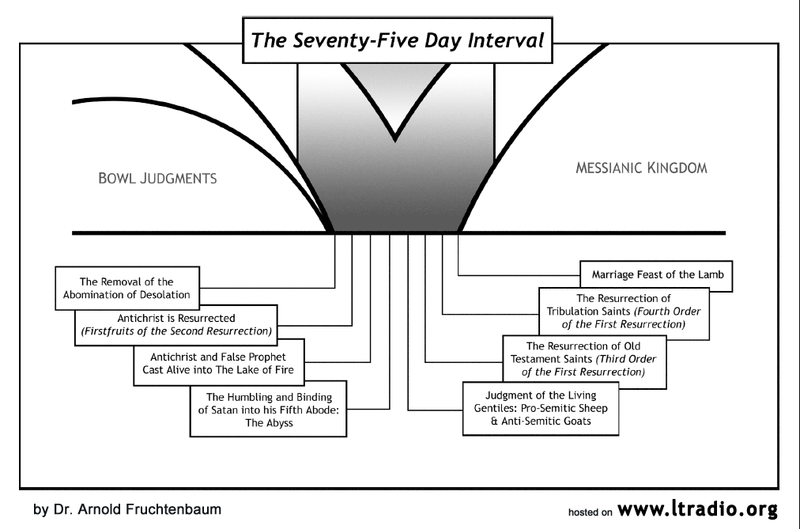 As a reminder, those of you who are saved and in Christ, will NOT go into the tribulation. I only allow you to see what I’m researching so that you will get the flavor of the finished novel (when I’m done). The book ends with the Final Battle (where Jesus destroys the Antichrist and cages Satan) and I plan to play it out in great detail, using Bible verses interlaced between scene shots, using stream of consciousness. This book is going to be POWERFUL. This really does not give away the ending, since the Final Battle is part of the B plot, which by the end of the book is totally intertwined with the main plot. The Bible teacher Gail most respects and whose interpretation of future events she has adopted for this book is mostly from Arnold Fruchtenbaum (a graduate of Dallas Theological Seminary, which is a school she respects for its scholarship regarding the Bible and its adherence to Biblical principles in how it trains Christian leaders). However, she would like to state that this work is all her own work and Mr. Fruchtenbaum or Dallas Theological Seminary did not influence Gail at all in how she wrote this book, other than that she has read and admired some of their teachings/positions. 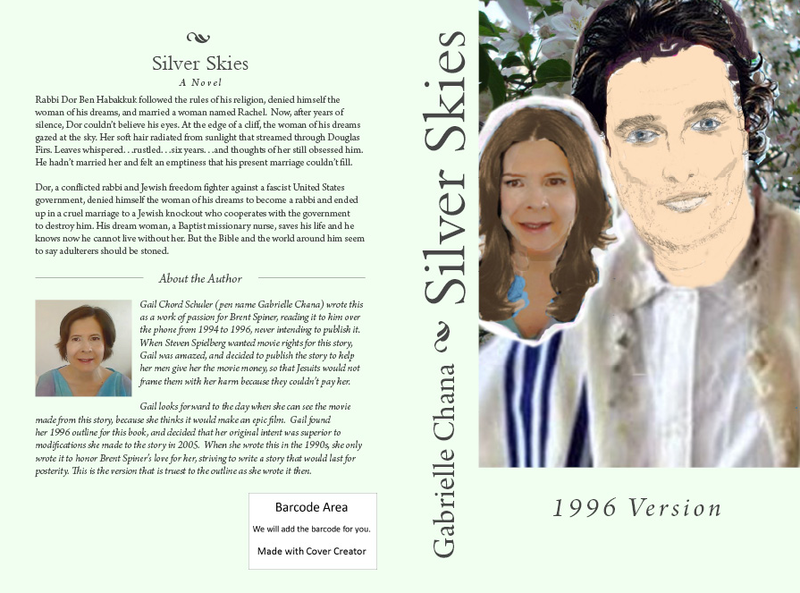 Gail’s love for the Bible is reflected in the pages of Silver Skies (1996 Version). 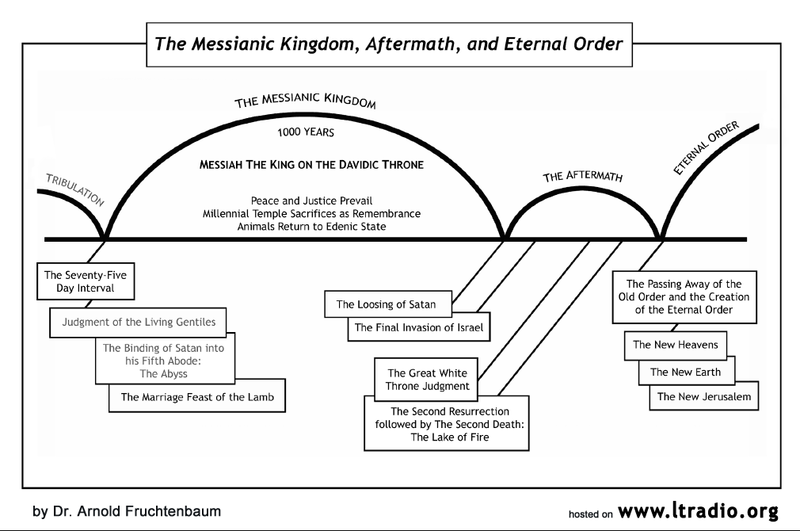 In Silver Skies (1996 Version) Bible prophecy about the Jewish nation in the tribulation will COME ALIVE, with a Messianic rabbi as the main character. This is a Buddy Love story (two leads are lovers), with a Superhero subplot (the rabbi main character is a Jewish freedom fighter with Israel during the tribulation). These categories are taken from Blake Snyder’s Save the Cat! ten categories of movies (stories). 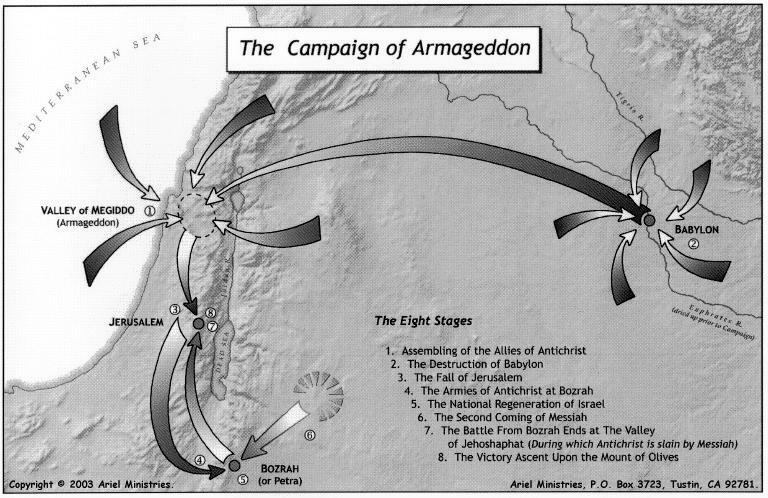 Most of the events in Silver Skies (1996 Version) are part of a literal interpretation of Biblical prophecy believing the words mean what they say and that the Bible is inerrant and divinely inspired in its original languages, but that many translations translated from the earliest manuscripts are reliable translations of God’s infallible Word. 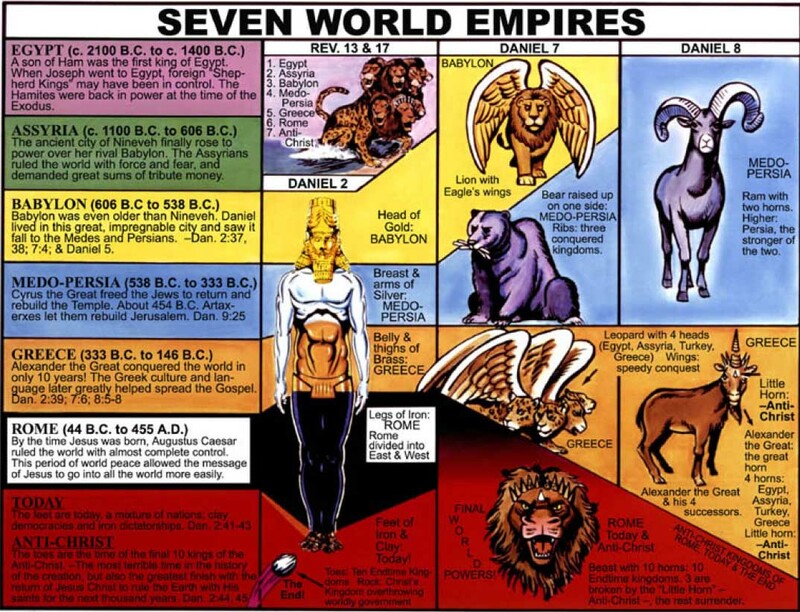 Many of the scenes were created around Biblical prophecy incidents for the purpose of fiction. There may be or will be persons alive who take part in events similar to those described in this book. It is possible, therefore, that some of them may be mistaken for characters in this book. The characters in Silver Skies (1996 Version) are the creation of the author and, for the most part, do not totally resemble any real person living on this Dec. 18, 2017. However, the author will admit that she patterned Dor Ben Habakkuk somewhat after Brent Spiner M.D. and herself, and that Brianna is patterned somewhat after herself. The author, like the main characters, suffers persecution from those in power in the “deep state” and who control the press and attack her love life. Russia is a villain in the novel based on Biblical prophecy in Ezekiel 38 & 39. The author does not believe that the evil Russian leader who attacks Israel in Ezekiel 38 & 39 will be Vladimir Putin, unless it is his evil clone. The author also does not believe the American President(s) depicted is Donald Trump on this Dec. 18, 2017. The author has authored plenty of non-fiction books about her real life. To check if any Silver Skies event is patterned after the author’s real life or real life events, you should check the author’s non-fiction books. This is the only book she has written (thus far) where a large portion of events are future. If the events she depicts come true, then Jesus Christ has made her a prophet (or her interpretations of Biblical prophecy are accurate). The author is a deep Bible student having read the Bible from cover to cover hundreds of times. This is first and foremost a love story. The prophetic events described are the world where the lovers live. The author hopes this story will live on in readers’ hearts for posterity into the future tribulation, millennium and eternity future. This is a story about true love and its power of transformation. I have lots of writing projects that I’ve started & never finished. After I finish Bible for Tribulation Saints, I plan to finish my novel Silver Skies. As a writer, I’ve been thinking about all these dream writing projects and I actually reread my original conception of Silver Skies and feel my edited edition actually made it WORSE. Steven Spielberg was so impressed with my unfinished novel that he went ahead and made a movie out of it, in spite of my deus ex machina ending. I found my original outline for the novel and decided it is excellent. I want to finish the novel using that outline. I also want to go back and rewrite the novel into the form that Spielberg fell in love with. I was thinking about the novel Wuthering Heights written by Emily Bronte. That was her ONLY novel, but it’s so good, it’s made her famous for posterity. I think I can make Silver Skies to be of the same quality as Wuthering Heights. I need to go back and rewrite it to the original conception and then put the ending on it I had originally planned. Back in the 1990s when I wrote that my goal was to write a love story that showed the awesome love that I felt I had with Brent Spiner in the 1990s. I only planned to write that one novel and I only studied writing to learn how to write that one novel. That’s why the book is so good! But then I found out about Loree McBride in 1996, and lost interest in writing it. When I discerned the truth that Brent never wanted her and she was a Vatican agent, I regained my interest in Silver Skies, but had forgotten my writing skills. They have come back to me with practice. I am now ready to finish this novel. I think I can make it as great as Wuthering Heights. 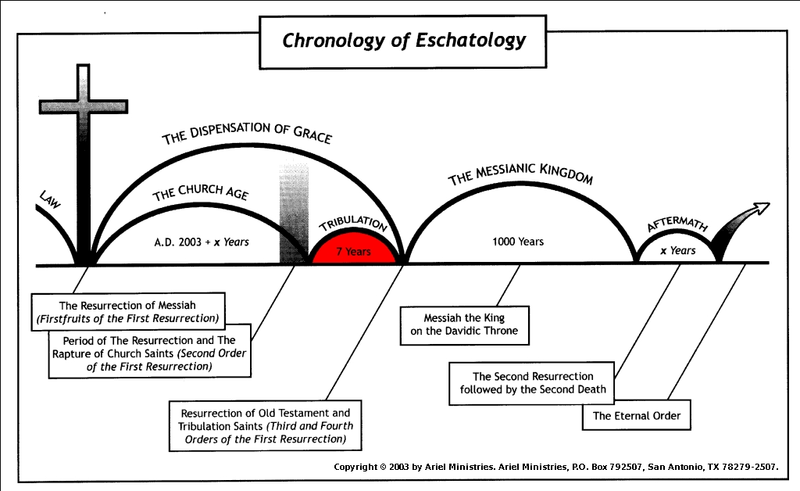 Any ways, I am not sure, but I think I will most be remembered for Bible for Tribulation Saints. But once people read that, they will be interested in my other works. I think it is important for me to be mainly a non-fiction writer, cuz my life story and the story of my men is SO IMPORTANT for the world to know. But I did write one novel, that has the potential to be great. I want it to move the heart and make people think. I think I can do it. Right now what is keeping Silver Skies from being that novel for posterity is that it does not have an ending. 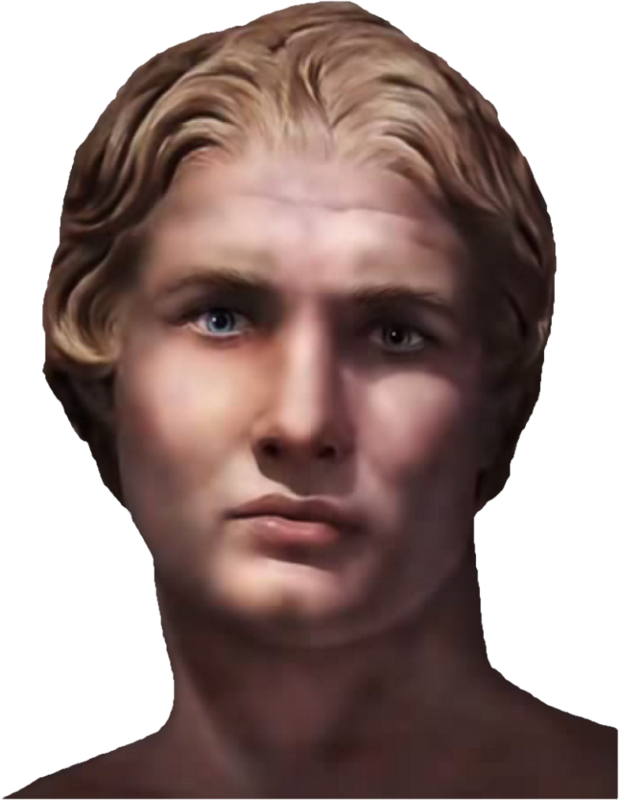 I expect to finish Bible for Tribulation Saints around Christmas. After that, my focus will be on finishing Silver Skies. I want future generations to pick up that book and feel that it has the literary quality of a novel like Wuthering Heights. I always wanted it to be the great love story of the ages and if I write it true to the outline I had in the 1990s, I think I can do it! Apple Blossom Time is the theme song for Silver Skies. A conflicted rabbi and Jewish freedom fighter against a fascist United States government, denied himself the woman of his dreams to become a rabbi and ended up in a cruel marriage to a Jewish knockout who cooperates with the government to destroy him. His dream woman, a Baptist missionary nurse, saves his life and he knows now he cannot live without her. But the Bible and the world around him seem to say adulterers should be stoned. Orson Scott Card is apparently the screenwriter for the Silver Skies movie (Steven Spielberg production). My thoughts about this. I ruined my 1996 Silver Skies, by omitting parts of the beginning that made the character likable and by giving the story a deus ex machina ending. I have given the 1996 outline to my men and they have forwarded it to Steven Spielberg, who, has a team of screenwriters who are revamping the movie version and honoring my 1996 outline. I plan to honor this outline for my revamped Silver Skies, and in the 1996 version the main character, Dor, takes action that determines the final outcome, a much more satisfying ending than the one I had before. Even if Mr. Spielberg releases the movie before I finish the book, I won’t rush the book. I am determined that it be a literary masterpiece that goes on into posterity. Those who see the Silver Skies movie, can read the book to get the deeper meanings. Gail reread her earliest version of Silver Skies (enlarged copy of Silver Skies cover above), that she originally published through RoseDog books and has concluded this is superior to the modifications she made to it after 2005. However, her original version did not have an ending and she tacked on an ending that does not work for the story. After relearning much of the novel writing skills she has forgotten over the years, as she works on her novel Lusts & Acclaim, Gail realized that the ending she tacked onto her Silver Skies, does not work for the story. She searched through her files and found the original outline that she wrote for Silver Skies, and has decided that her original intent is superior to what she did later. She will go through the Silver Skies she has published through CreateSpace and will rewrite it back to the original version, except she will remove the ending she tacked on in 2005 and rewrite it according to her 1996 outline. She has also revamped the cover, to give this third edition of Silver Skies a cover that fits the story. She remembers that as she worked on Silver Skies, she wrote a meticulous outline, and outlined scene by scene using principles from Jack Bickham’s Scene and Structure. She will do the same for this third edition as well. When she worked on Silver Skies, she never rushed herself, quality was always more important than quantity, and that will be the same attitude she takes as she rewrites Silver Skies to make it truer to the book she intended it to be in 1996. In 1996, when Gail learned about Loree McBride, she trashed Silver Skies as a project, feeling that Brent Spiner no longer deserved her masterpiece. She also did not have the means to publish her story at the time. 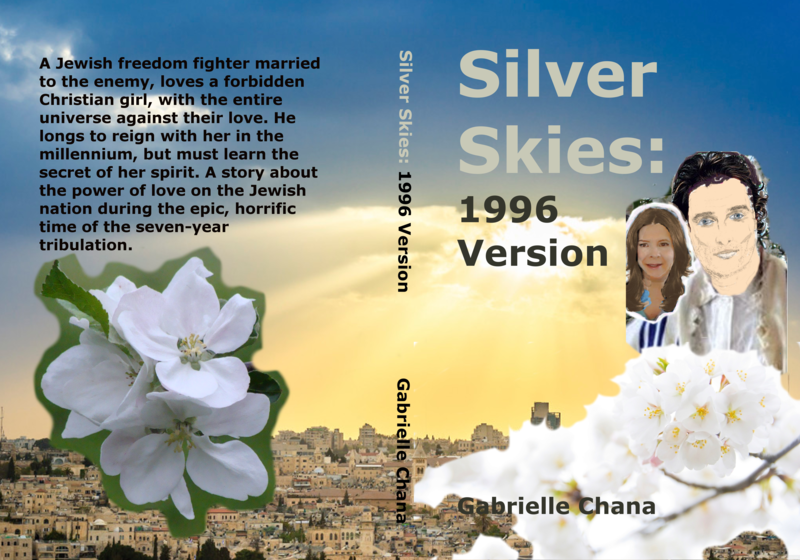 With the advent of the Internet, and the skills Gail has learned about self-publishing, she is able to publish the Silver Skies she intended in 1996. With this third edition, Gail hopes that this version of Silver Skies will last into posterity, as she strives to write only those stories that she herself would love to read. The theme song for Silver Skies remains the same. It is Apple Blossom Time. Gail allowed Jesuits to intimidate her into believing that her novel Silver Skies was an inferior book, not worthy of publication. But as Gail reread her first version, that she laid aside after 1996, she realizes that it is a literary masterpiece. Steven Spielberg made a film based on her 1996 version in 2005, even though Gail had not written the ending. When Gail realized that Mr. Spielberg was making a movie, she tacked on an ending for him, and was tickled that he was willing to make the movie without the ending. She realizes now that the ending she tacked on was not best for the story. She has relearned her fiction writing skills and will give this story the ending it deserves, based on the outline she wrote in 1996. Mr. Spielberg has encouraged Gail to take her time with her writings. Gail guesses that when she finishes this third edition of Silver Skies, that he will edit the movie and give it the ending that it deserves. Once Gail fixes the ending and returns the story to its 1996 state, it should enter the annals of literature that last for posterity. That is her hope. Matthew McConaughey fell in love with Gail when he read her book in 2005. Mr. Spielberg cast Matthew for the lead, which Gail feels was a good casting call. Gail does not know which actress they used for the female lead. That would be a hard call, because the Brianna character has so many facets and only a very good actress could bring out all her depths and passion. The version Matthew read was the 1996 version, which is the version she is working on now. The book did not have an ending and Mr. Spielberg went ahead any ways with the movie! Unfortunately, in 2005, she had not written anything for about a decade and forgot some of her fiction writing skills. But she has relearned them, and realizes now what she wanted to do in 1996 with her masterpiece for Brent Spiner.